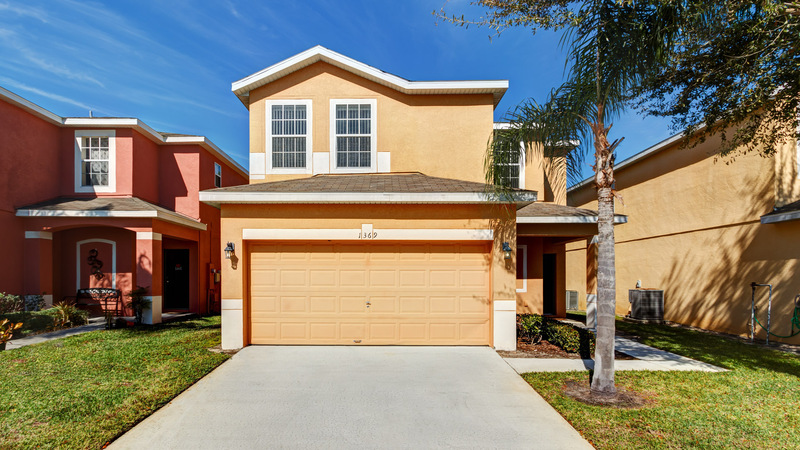 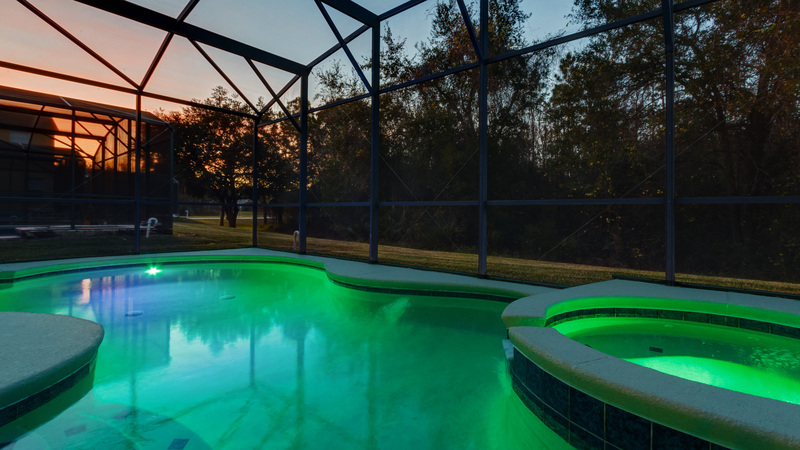 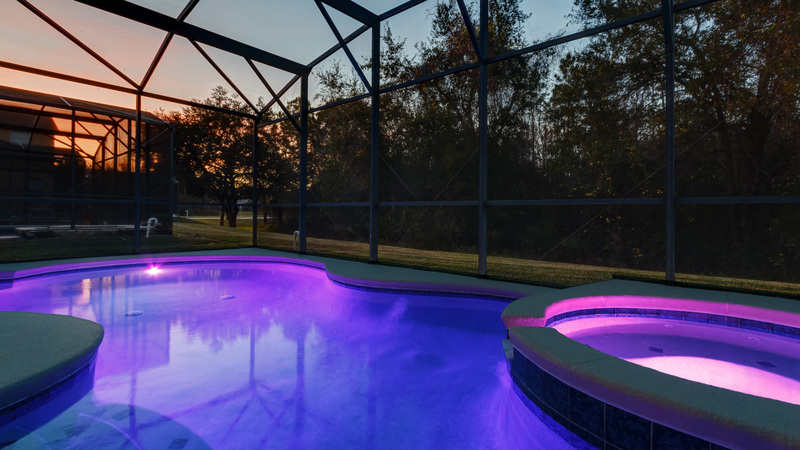 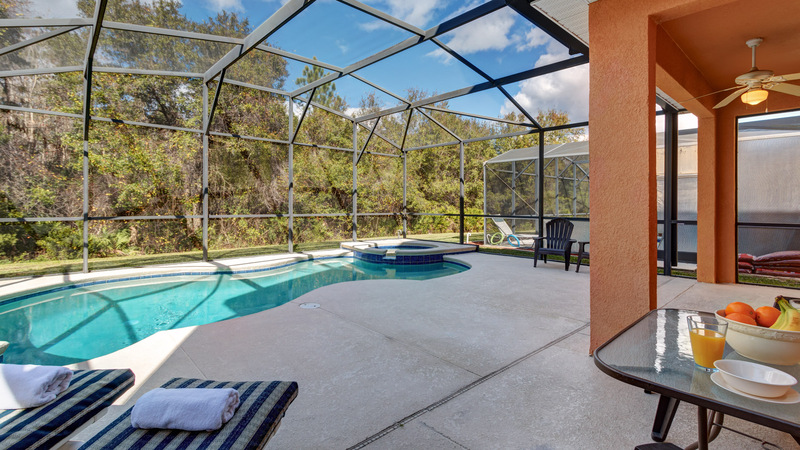 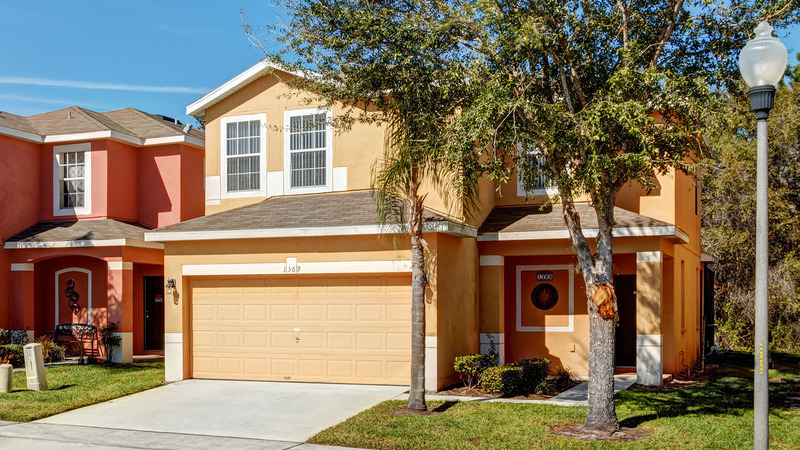 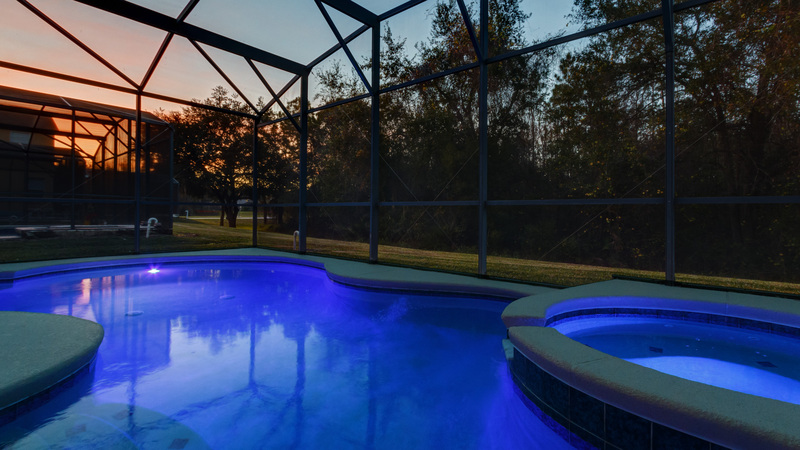 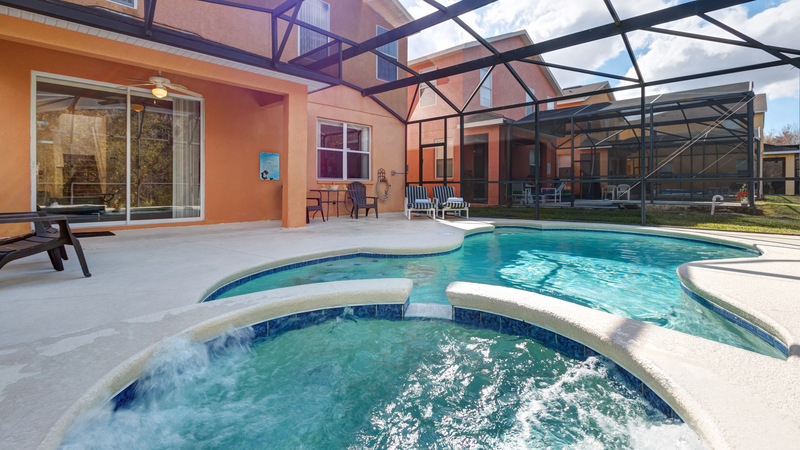 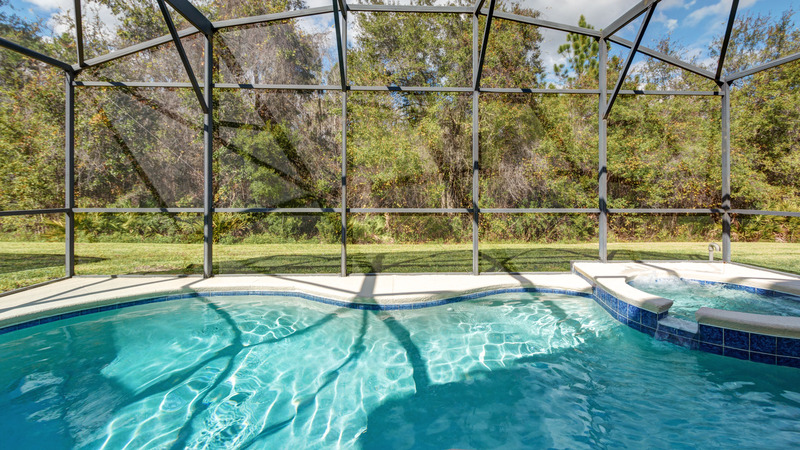 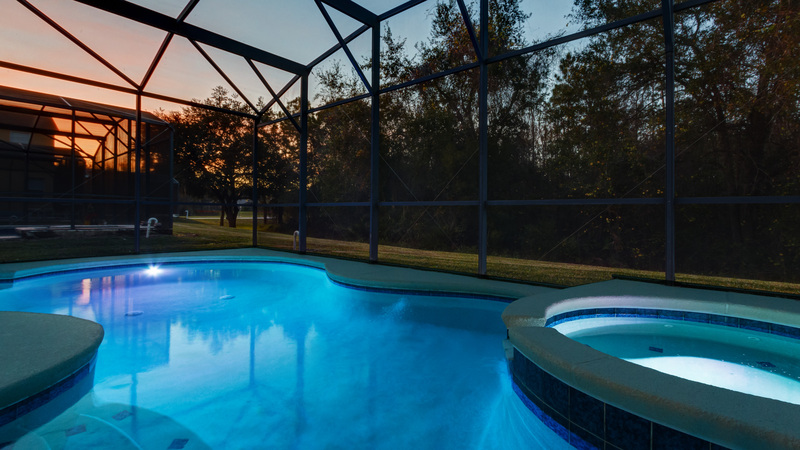 Sevilla is a two-story four bedroom home with a private pool and spa in the prestigious Sandy Ridge community, just minutes from Walt Disney World. 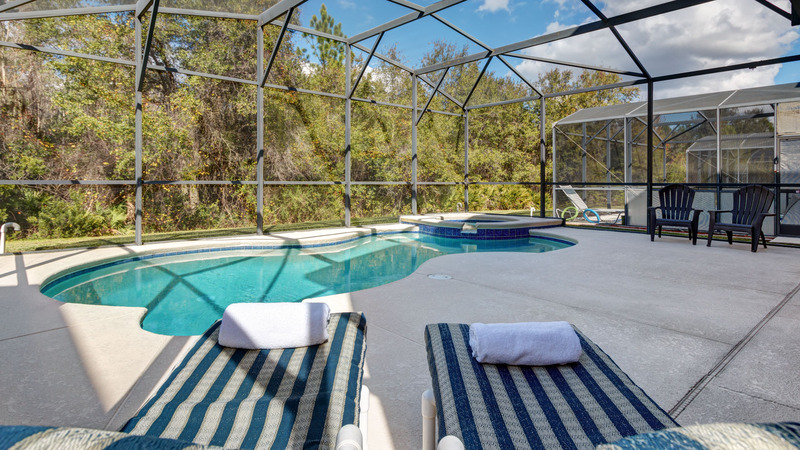 The house itself is on a conservation plot with views out to woodland at the rear. 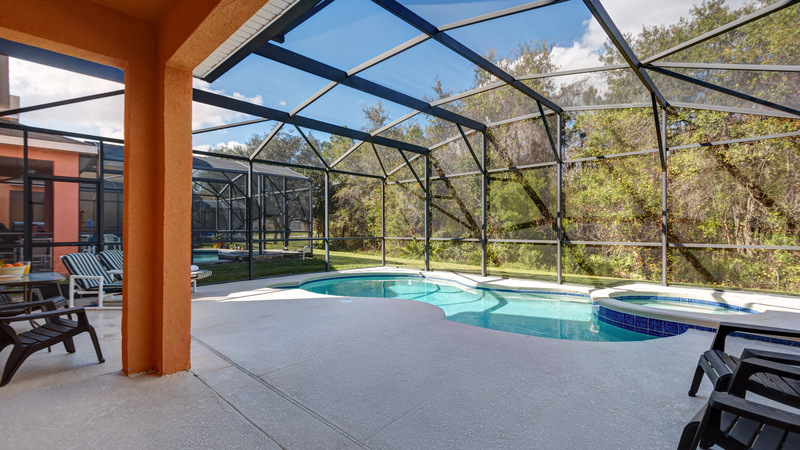 There are four bedrooms, three and a half bathrooms and a private pool and spa with screened enclosure. 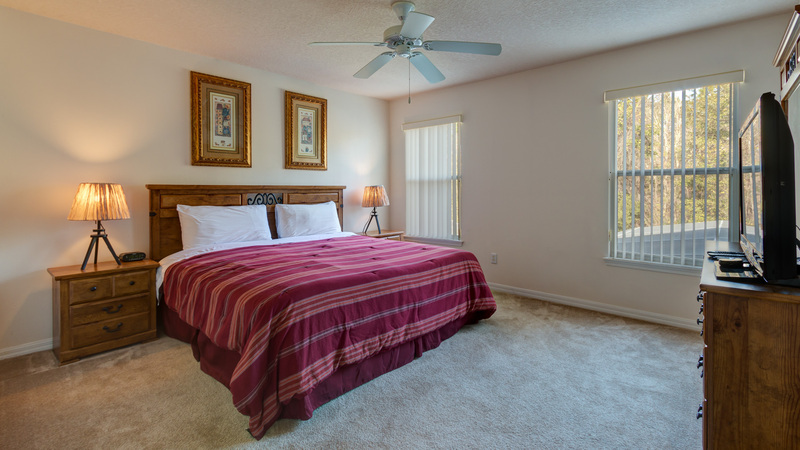 The house has been furnished to a very high standard and benefits from upgraded furniture, and central air conditioning throughout. 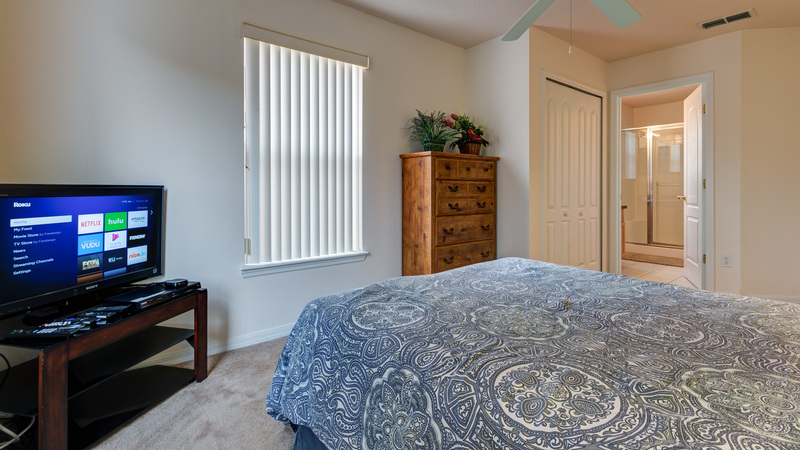 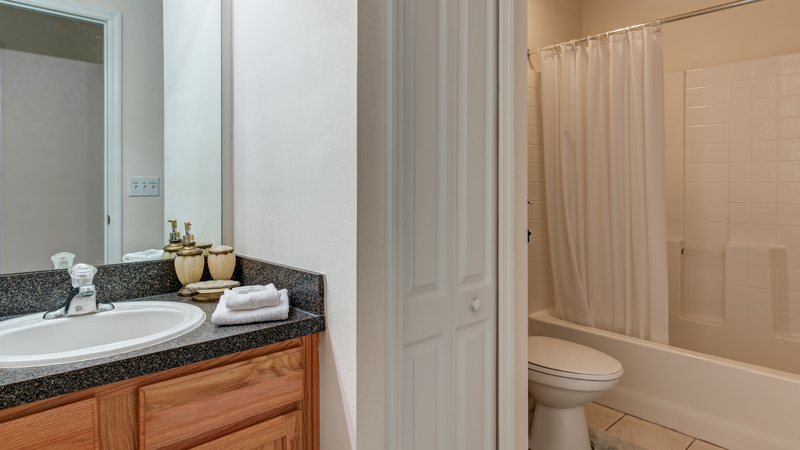 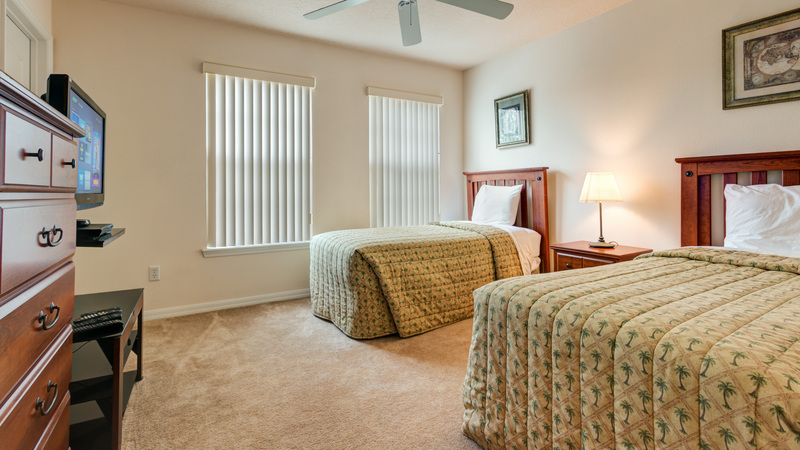 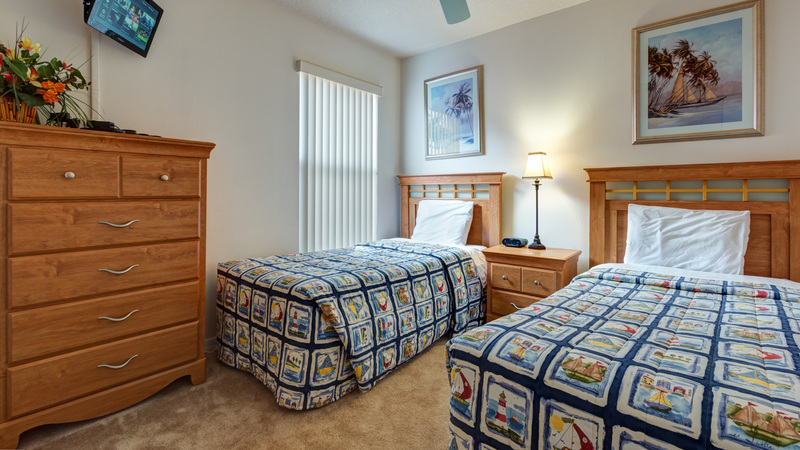 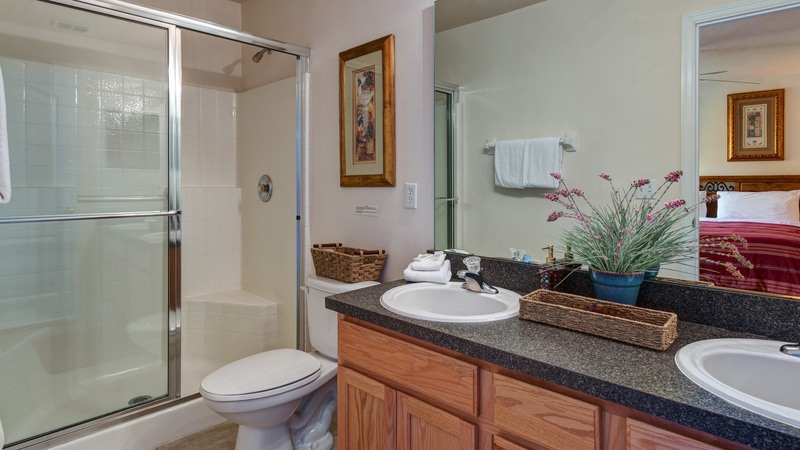 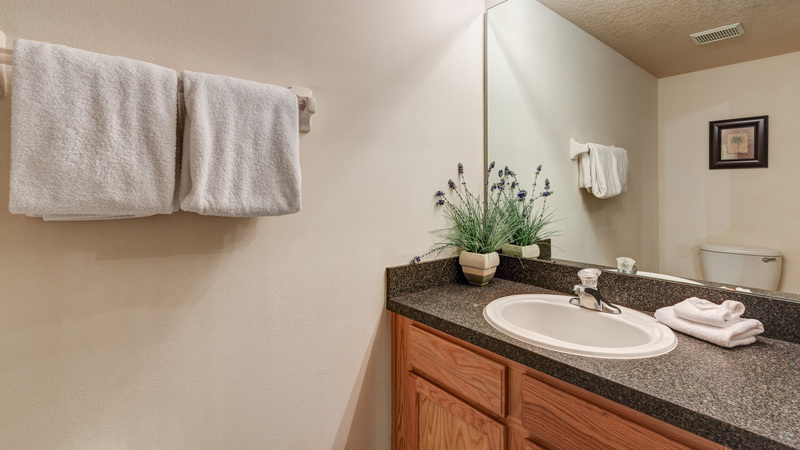 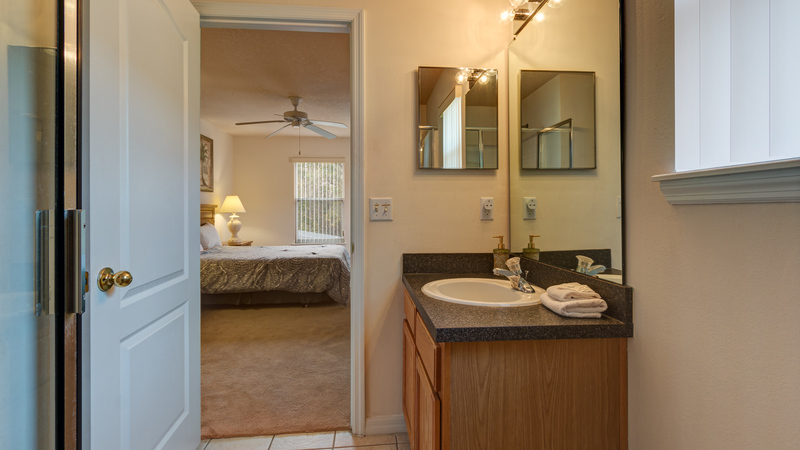 There are two master bedroom suites (one King and one Queen) with private, attached bathrooms, and a two more bedrooms, each with a set of twin bedrooms with a shared full bathroom. 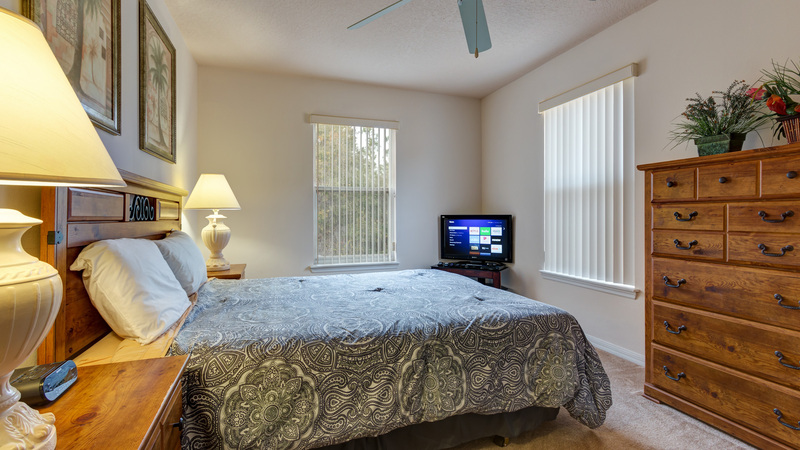 All the bedrooms offer very generous storage spaces or walk-in closets and are equipped with a TV with cable channels and a DVD player. 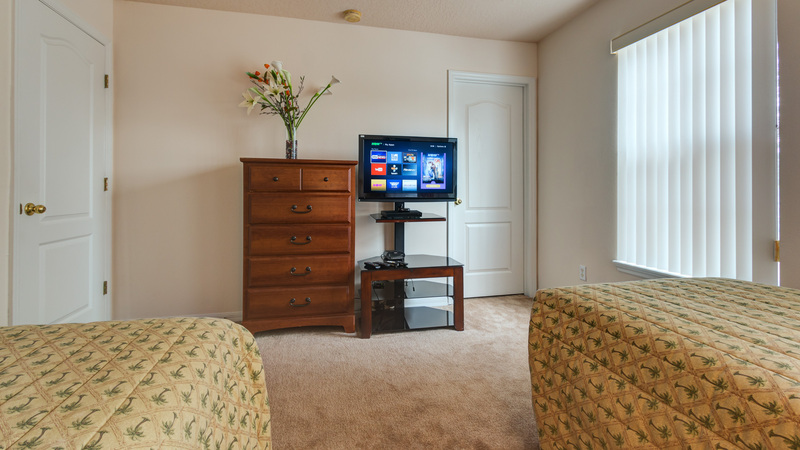 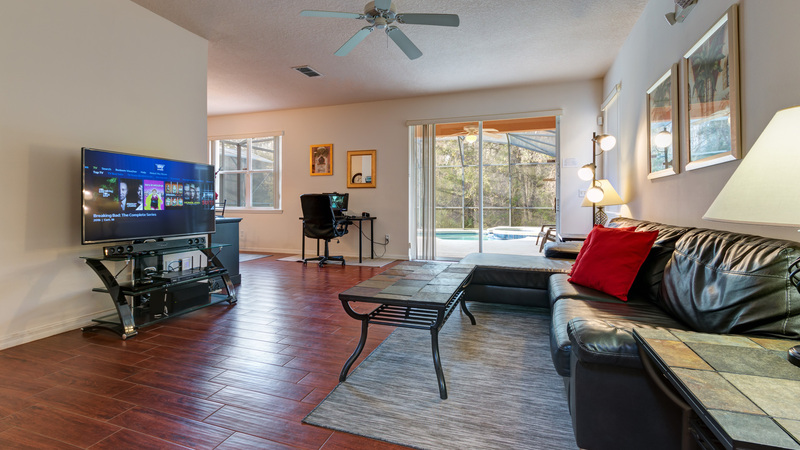 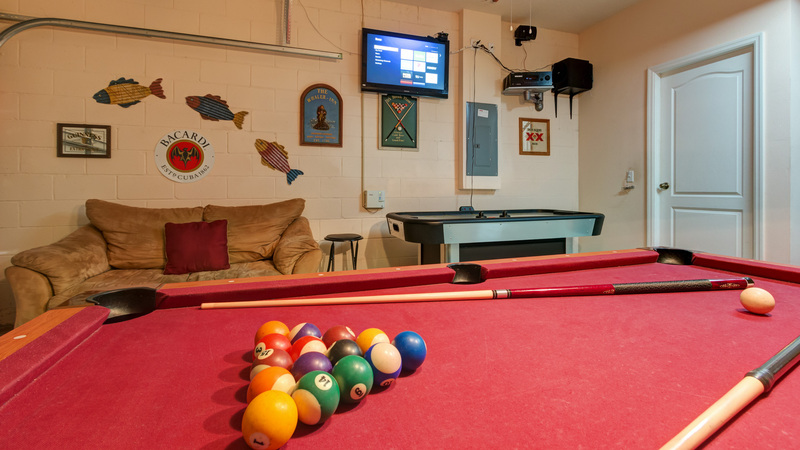 Entertainment in the living area is provided by a flat widescreen TV with cable channels, a DVD surround sound system. 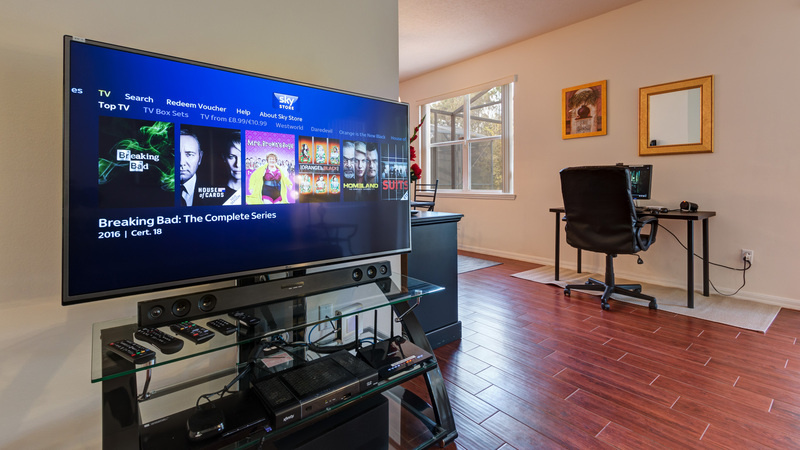 Bring your own DVDs from any region and relax on the suede sofas. 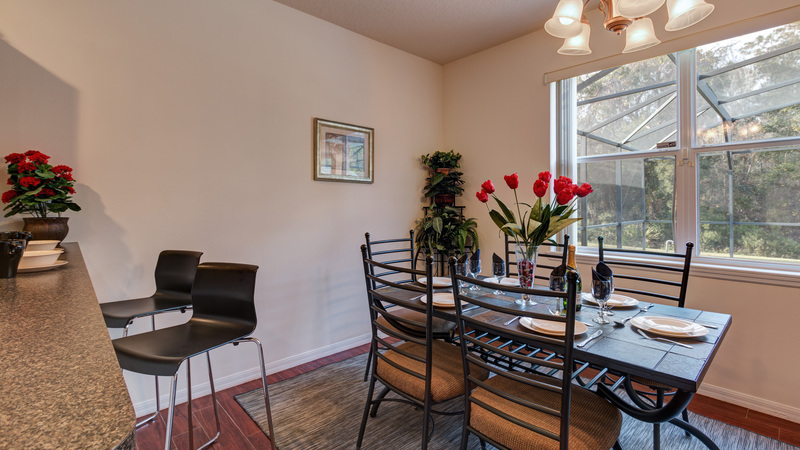 The dining area will seat six people in comfort. 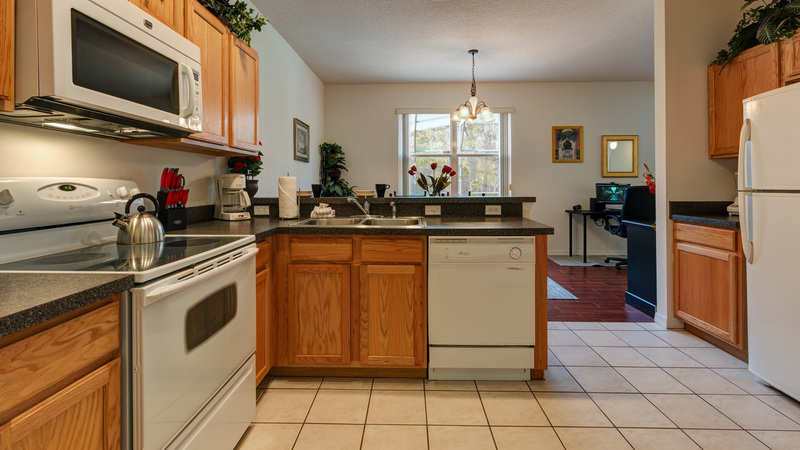 The kitchen is very well equipped with everything you`ll need to cook a meal including a large fridge with ice-maker, a dishwasher, a large oven, a microwave other appliances. 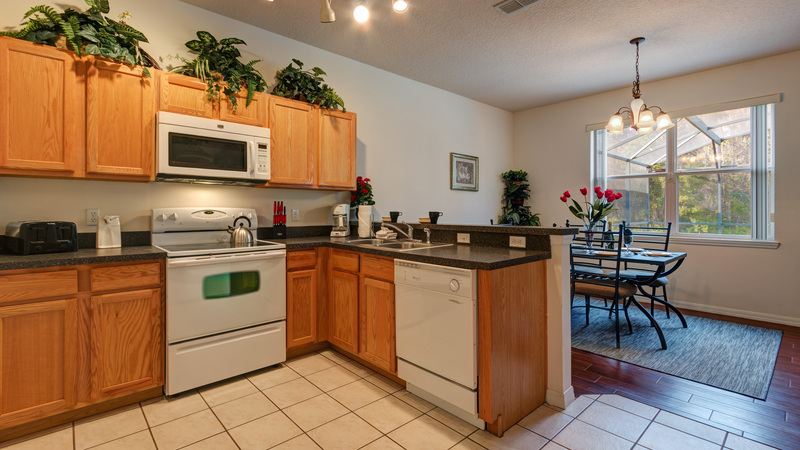 If you don't feel like cooking, there's a telephone provided for you to call for delivery! 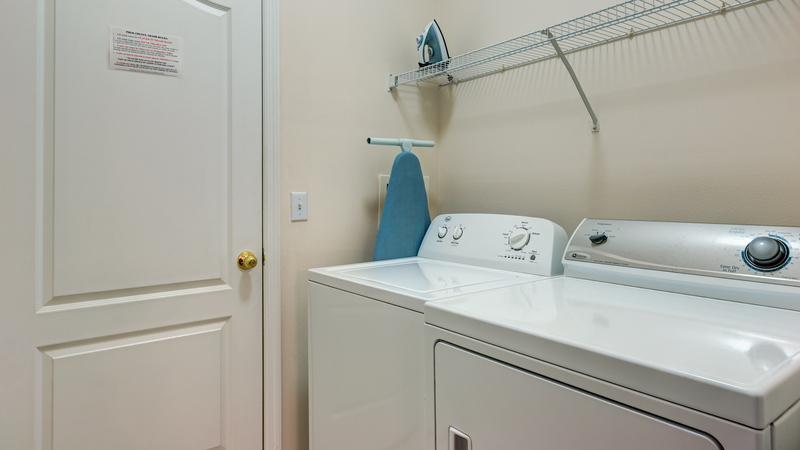 Off the kitchen there is a utility room with a washing machine and tumble dryer should you require them during your stay. 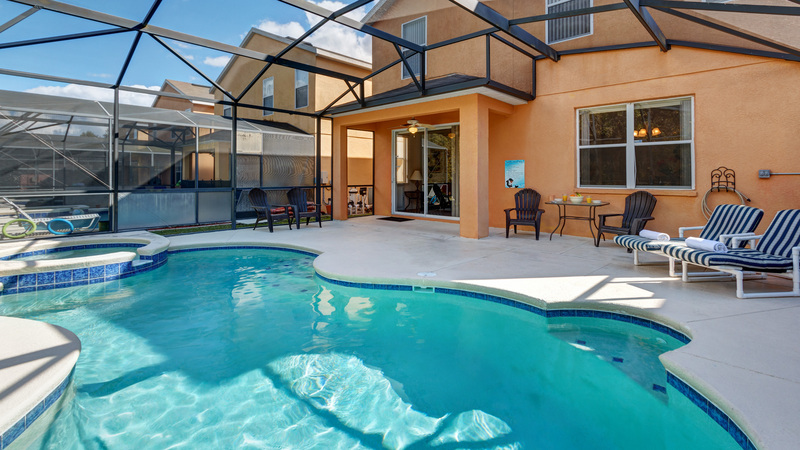 Sevilla is well located, very close to the resort communities of Reunion and Celebration as well as Champions Gate, with its two 18-hole championship golf courses. 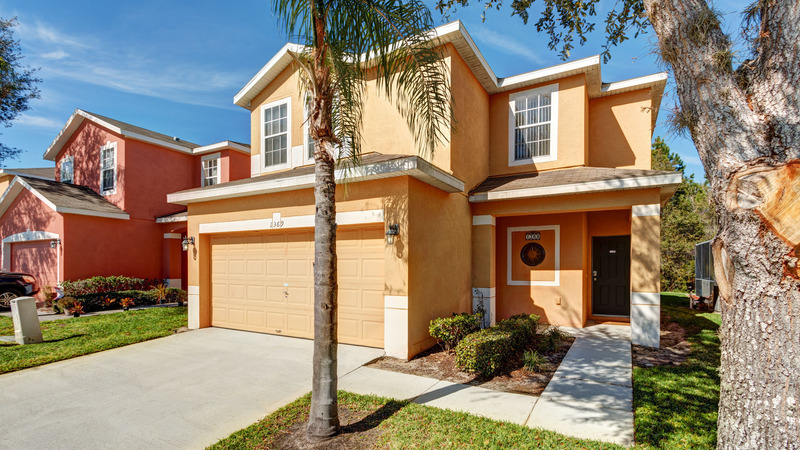 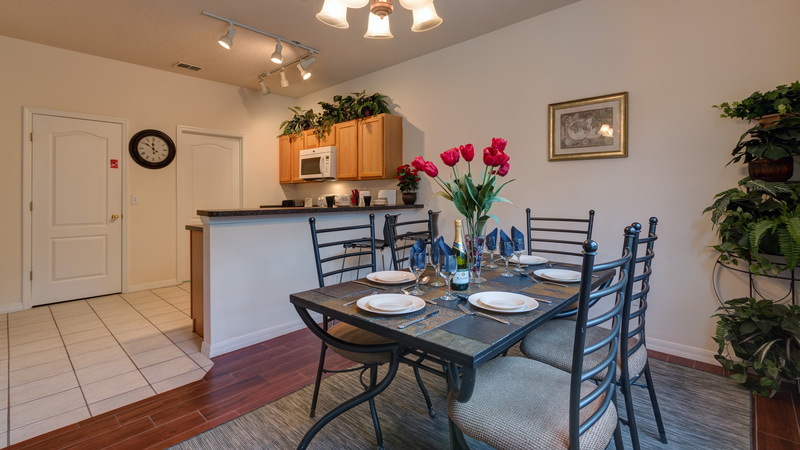 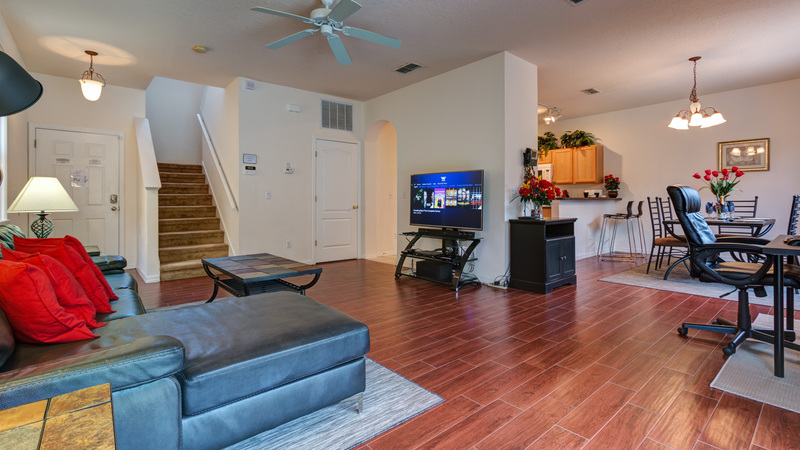 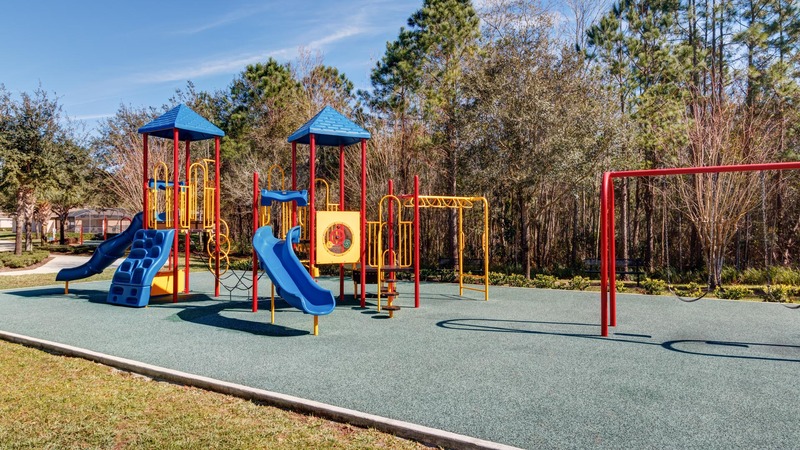 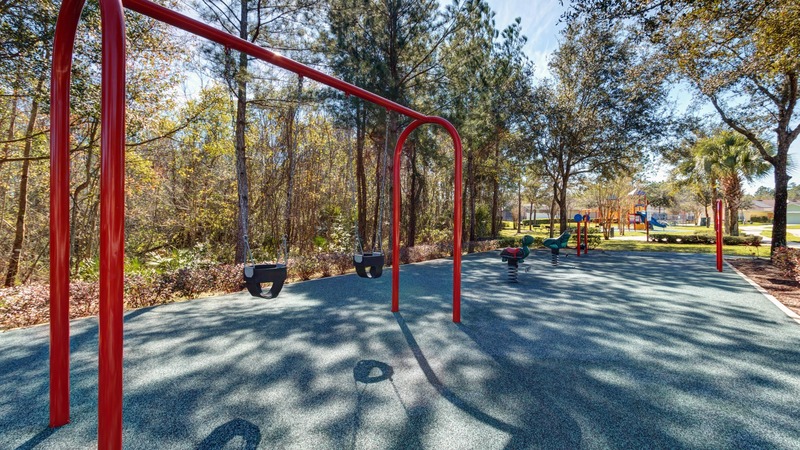 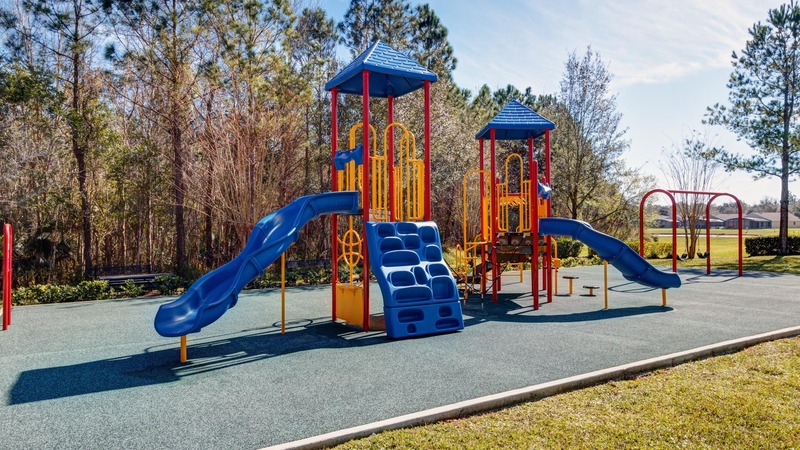 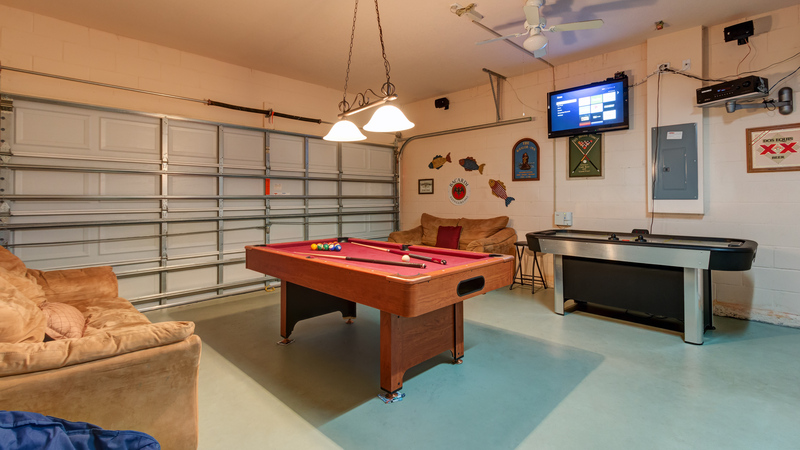 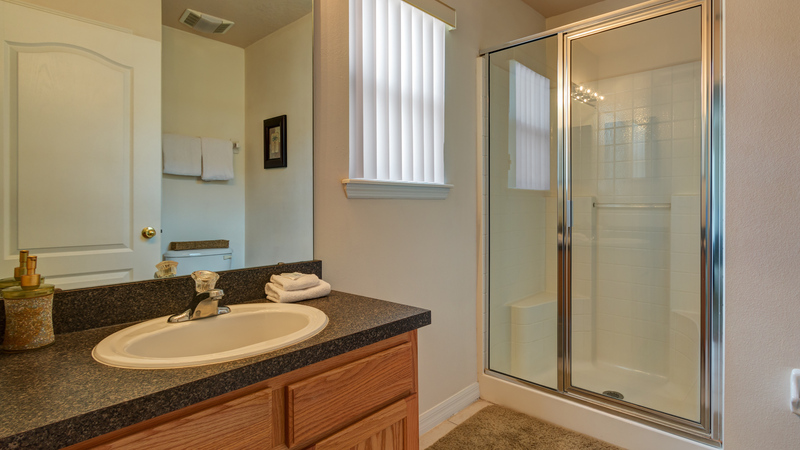 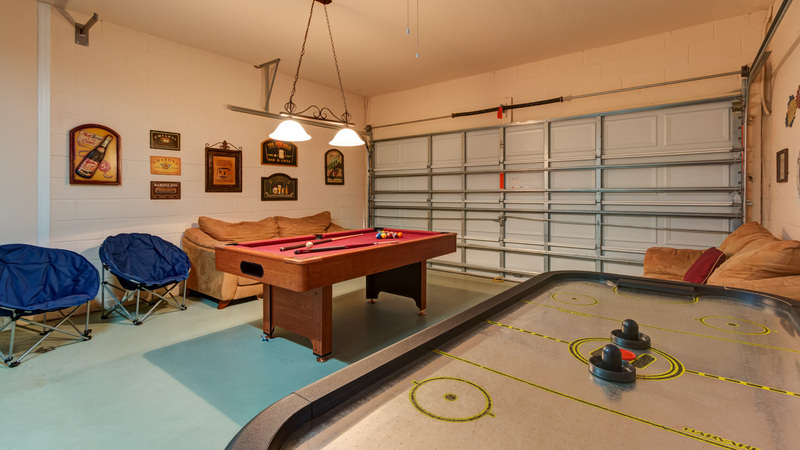 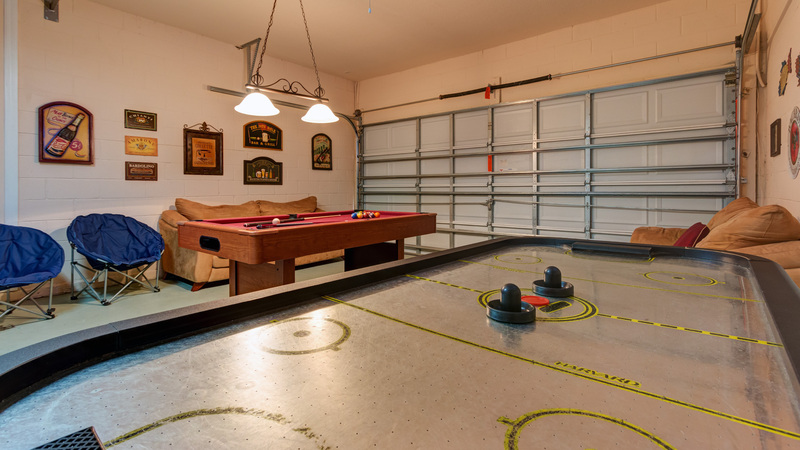 All of Orlando is easily accessible thanks to the close proximity of major highways like Interstate 4 and SR-17. 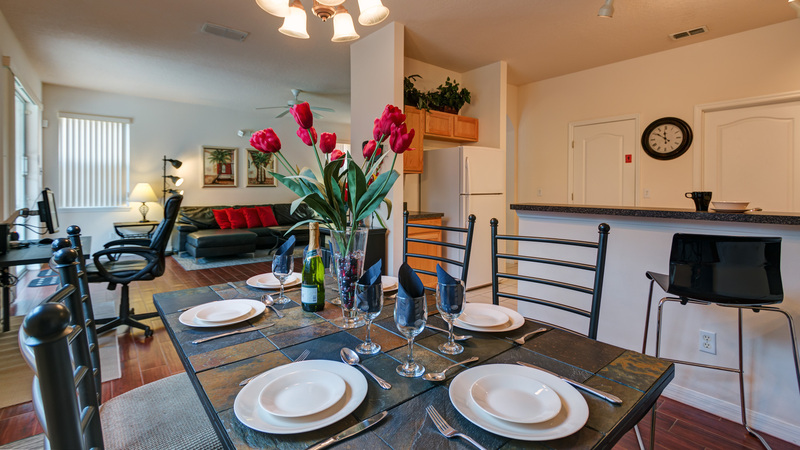 Journey time to Orlando International Airport (MCO) is approximately 30-40 minutes. 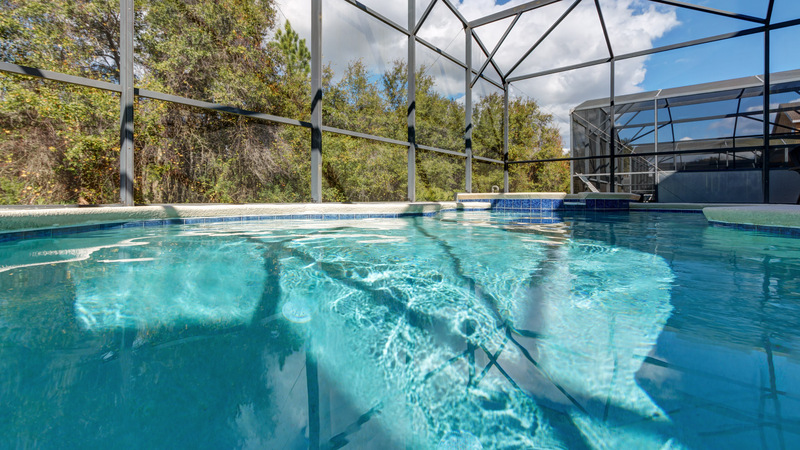 Orlando Sanford International Airport (SFB) and Tampa International Airport (TPA) are both about an hour's drive away. 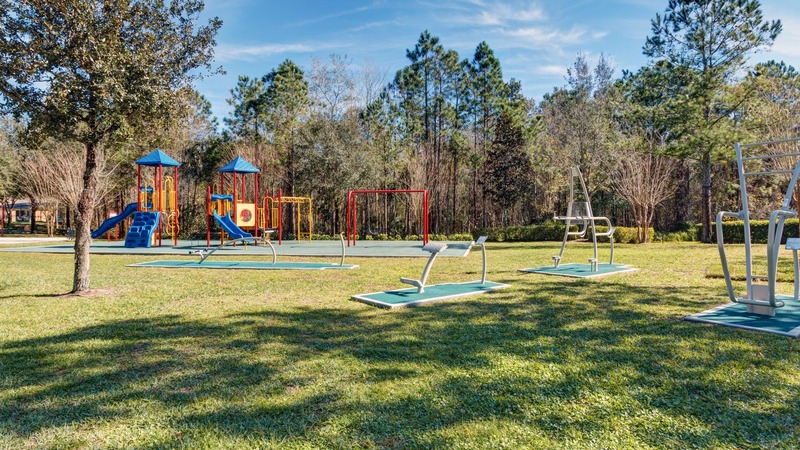 Champion`s Gate is about four miles away, and in addition to the golfing facilities, there is a supermarket (Publix) and a drugstore (Walgreens). 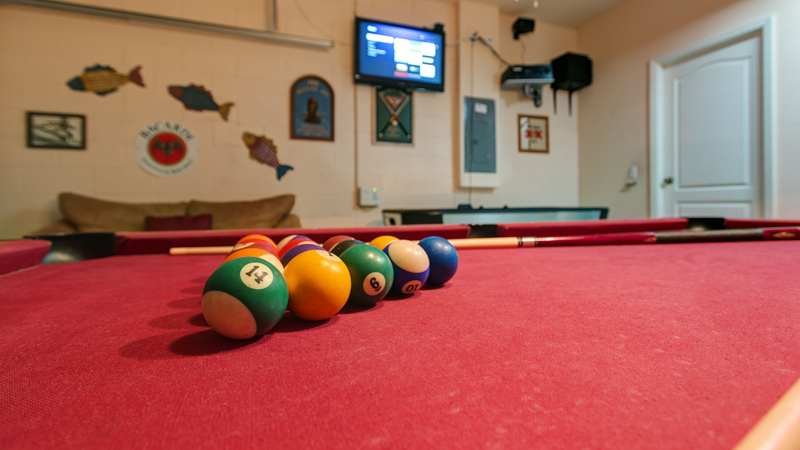 There are also several dining options including two fast food outlets (McDonalds and Subway), a Chinese restaurant and both French and Italian restaurants. 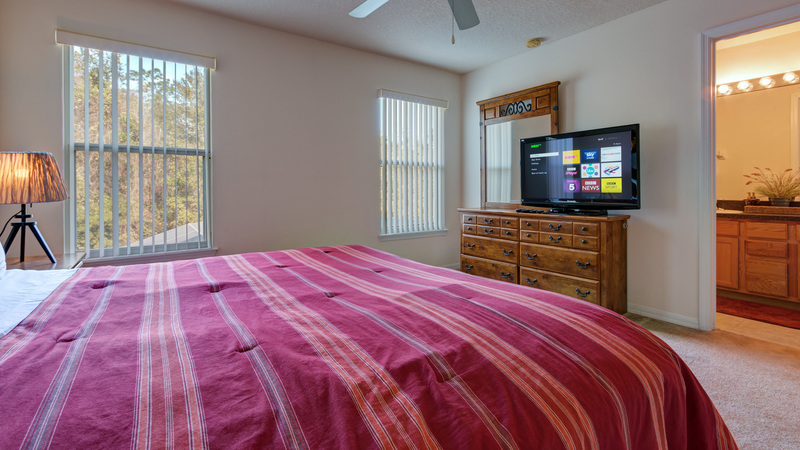 There are also 4 Wal-Mart stores within 10 miles.